Get ready for a busy week in the Eastern region of the province. As the weather starts to cool, our organizers have plenty of indoor activities to enjoy. 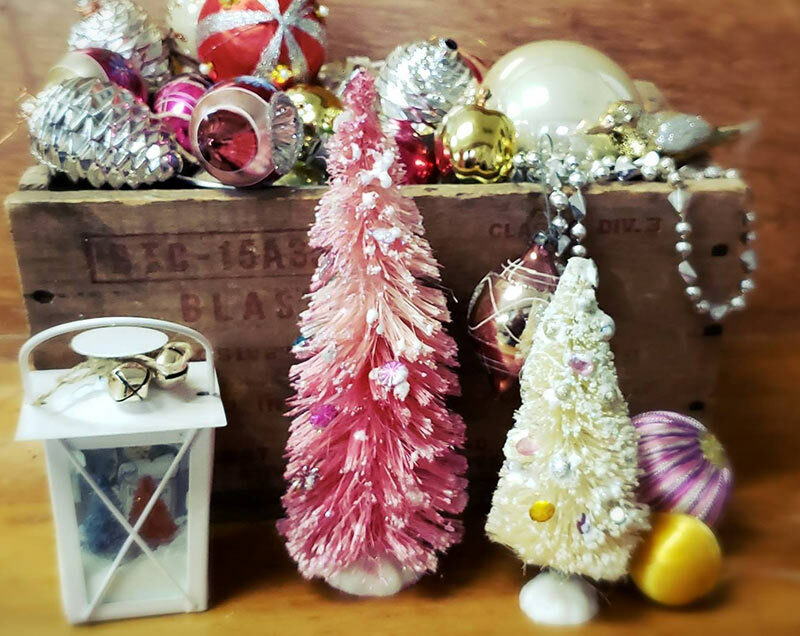 Over 30 crafters and vendors are ready to complete your gift shopping list at the Christmas at the Village Market 2018 Admission is free but attendees are encouraged to bring a tin for the Community Christmas bin. 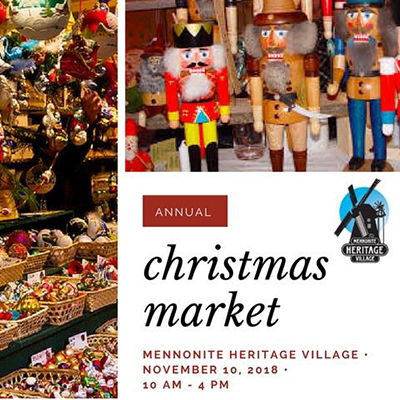 Enjoy a fun afternoon in the Children’s Craft Corner, Horse Drawn Wagon Rides, Live Christmas Melodies by the Rempel Trio, Lunch Special – Hot Soup’n Sandwich, the Peace Monument Unveiling a Gallery Clock Tour, plus be able to get some great shopping in! This Craft n’ Coffee will provide you with everything you need to create a funky vintage-inspired decor set. Transform a small metal lantern and two plain bottle brush trees into a playful holiday vignette. In this class, you will learn how easy it is to colour and bedazzle a simple green tree & make snow with household items (and glitter…lots of glitter!). The Incredibly Hip- The Tragically Hip Tribute Band! The Incredibly Hip gives a stunning concert performance, capturing the spirit and intensity of Canada’s most beloved band, leaving audiences both thrilled and duly impressed. The concert starts @ 10:30 pm with a live DJ before and after the concert! Dave The Shuttle Guy will be available to drive you home! If you would like to book a pick up to come to the bar, please call 204.345.6294 at least two days in advance to make these arrangements. Max capacity for one pick up/drop off is 14 people. Have you signed up for Junior Curling yet? Curling is one of those true Canadian Sports, one of our favourite winter pass times. Get your youth involved with curling by signing them up for the Junior Curling program in Lac du Bonnet, the ice that Curling Hall of Famer, Johnny Usakis, loves to play on!